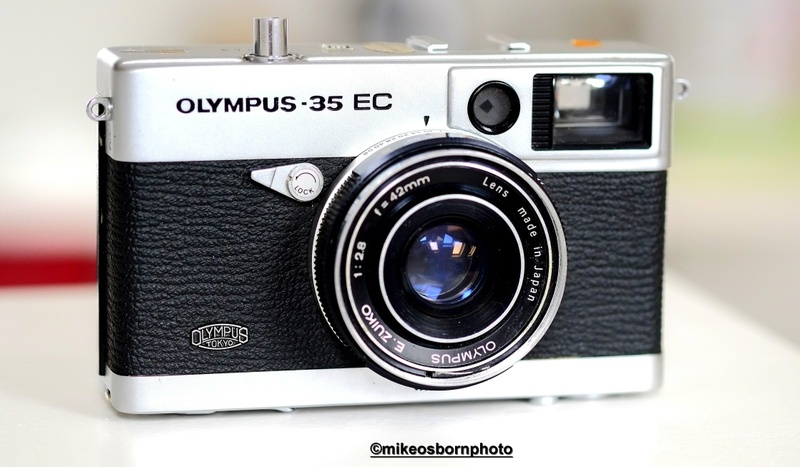 I recently became the owner of an Olympus-35 EC, a compact film camera made in Japan around 1970. It’s close to pristine and its battery-powered components remain fully functional. The proof of the pudding is in the shooting, however, so I quickly and easily loaded a Fuji ISO 400 colour film and went on my travels around west London with it tucked away in my pocket. Unloading the film was also slick and stress-free with this clever little gadget. The first results have arrived after a trip to the developers. The bad news first – some close-ups I attempted were out of focus failures, simply beyond the range of the little Zuiko lens. But that was the only downside. I’m impressed that a 45-year-old camera is still able to produce such clarity, depth and colour with that authentic granularity. Film definitely rivals digital on this evidence – and has its own magic too. Great camera/film combination, love the grain and the colour tones of the shots – there’s a dreamy quality to them which I really like. Thanks so much Stevie, glad you like them. There’s something very satisfying about creating new shots with a very experienced little camera. I love working with film. If the Internet was paper based I’d use it all the time – the images are just so much (for want of a better word) better. Thank you Simon. I bet you are familiar with the table dancing joint :) You’re quite right, film has its own lifeblood – especially with a vintage camera. Get them out and come play with me. Thank you very much Andy, and hear hear!